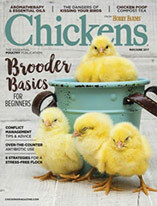 If you’re new to chicken keeping, you might not be familiar with bantams yet, but they’re not too complicated to understand. As Karen Unrath, the American Bantam Association secretary, explains, they’re basically miniature chickens. Bantams certainly have some advantages over their full-sized counterparts. They consume less feed, so are cheaper to keep and create less waste, and they take up less space, making them great for small backyards and urban environments. They can also be easier to handle due to their small stature, which is especially good for young people and the elderly, and they have big, fun personalities. The ABA has been around since a small group of bantam breeders split off from The American Poultry Association in 1914 to form the Chicago Bantam Club, later renamed and reorganized as the American Bantam Association. The organization celebrated its 100th Anniversary Centennial show in Columbus, Ohio, in November 2014. Most ABA sanctioned shows also have a youth show with separate recognition prizes; sometimes the youth compete with the adults. Some youth shows have such a large junior turnout that they sanction the junior shows separately. 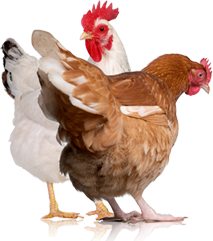 Unrath believes the trend is rising due to the relatively inexpensive nature of showing chickens (as opposed to larger livestock), the smaller size and easier-to-handle nature of bantams and the number of suburbanites opting to keeping small flocks in their backyard these days. 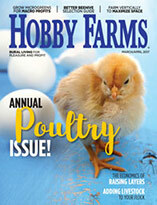 A separate organization, called Youth Exhibition Poultry Association, is headquartered in Philadelphia, Tenn. In addition to sanctioned shows and the annual, the ABA has been offering seamless leg bands since the early 1970s. These plastic leg bands are individually numbered, permanent and put on young birds. Each year, the bands are inscribed with the current year. “They are extremely helpful to the serious breeder and even the backyarder who wants to be able to know the age of his birds forever,” Unrath says. “The ABA has all the numbers registered. If a person purchases a bird with an ABA leg band, we are able to let the person know who originally purchased the band, which is very helpful when working on the breeding program.” Currently, the ABA dispenses more than 25,000 leg bands annually. Hovering just outside the top 10 of the ABA registration list are Brahma Bantam, Belgian d’Anvers, Leghorn Bantam, Belgian d’Uccles, Japanese, Polish and Dutch Bantam. If eggs are what you’re after, Japanese Bantams, Leghorn Bantams, Plymouth Rock Bantams, Rhode Island Red Bantams and Wyandotte Bantams are all good picks.